Most people can agree with the fact that it’s not polite to comment on someone’s weight. Well, the Monterey Bay Aquarium was under fire for doing just that. 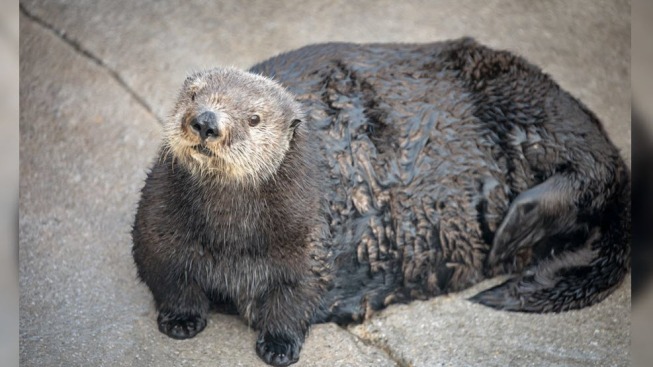 "Abby is a thicc girl," they tweeted Tuesday along with a cute picture of Abby the otter. "What an absolute unit. She c h o n k. Look at the size of this lady. OH LAWD SHE COMIN." Meant to be a lighthearted joke, they then used the hashtag #bodypawsitivity and tweeted "work hard, nom harder." The image received nearly 5,000 retweets and over 18,000 likes, mostly saying how cute Abby is and some even sharing photos of their own overweight pets. But Monterey Bay’s comments also came with their fair share of Twitter users shaming the aquarium for "body shaming" Abby and for using several terms originating from African American Vernacular English (AAVE). "Please delete this tweet. It is offensive," tweeted Chanda Prescod-Weinstein. "I'm certain that @MontereyAq didn't realize that they were basically comparing Black women to animals by using AAVE developed to talk about Black women's bodies to describe an animal. But that's pretty bad, MBA." "Delete this," tweeted Alvin Grissom. The Monterey Bay Aquarium soon apologized. "Hey everyone. It has come to our attention that some of the references in this tweet are problematic and insensitive. We're posting here in the thread so that people who have engaged with this tweet will join us in our learning moment,” they tweeted. “In particular, several terms referenced originated from African American Vernacular English (AAVE) and specifically reference Black women's bodies. Using them in a sea otter meme without that background makes insinuations we never intended. We need to do better."